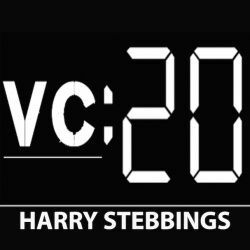 The Twenty Minute VC takes you inside the world of Venture Capital, Startup Funding and The Pitch. Join our host, Harry Stebbings and discover how you can attain funding for your business by listening to what the most prominent investors are directly looking for in startups, providing easily actionable tips and tricks that can be put in ... Más informaciones place to increase your chances of getting funded. Although, you may not want to raise funding for a startup. The Twenty Minute VC also provides an instructional guide as to what it takes to get employed in the Venture Capital industry, with VCs giving specific advice on how to get noticed from the crowd and increasing your chances of employment. If that wasn't enough our amazing Venture Capitalists also provide their analysis of the current technology market, providing advice and suggestions on the latest investing trends and predictions. Join us so you can see how you can get BIG, powerful improvements, fast. Would you like to see more of The Twenty Minute VC, head on over to www.thetwentyminutevc.com for more information on the podcast, show notes, resources and a more detailed analysis of the technology and Venture Capital industry.